Not at all what I expected. I had expected the story to be of two brothers in love with the same girl. But obviously Sundari Venkatraman was expecting that for she gave this story a complete twist. A bold twist. She is Sanya. A spoilt brat with a childhood crush. She travels from London to Mumbai. She has so hoped for the love of her life, Arth, to pick her up from the airport but instead she got the infuriating twin, Ansh, waiting for her. From there begins her battle of the heart. On one hand she knew she loved Arth, the one who would always keep her safe in their childhood days, who would protect her from the torments of his other twin. But today she is caught between the love of her childhood and this passionate stranger that Ansh had become. Would she succumb to his charms or will she be able to find her heart’s desire. The story, the setting- everything fit in neatly in a small package. Sanya’s character developed very well from a spoilt brat to a woman who found the purpose in her life. Both Arth and Ansh came out strongly as main characters. The passion in the story was palpable. The length of the story of course. I wanted more. I wanted the story to expand in so many directions. So many plots could e taken further. I would definitely like to ask Sundari Venkatraman as to why she made this into a short story novella. The plot was, though not something we have not seen before, was original and the ending….Guys you should really read to know this. 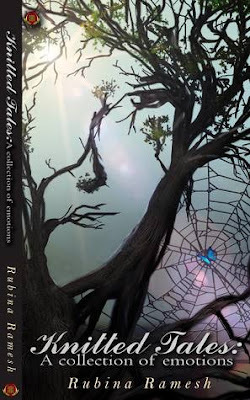 And if you are finding me pushy regarding this book because the ending is something I am dying shout out….. let me know what you think after reading this book. I am rating this according to the ratings of a short story…. Well when ever I want to read more……. Sundari Venkatraman.I was born in Kumbakonam and grew up in Chennai.I am living in Mumbai since I got married 29 years ago. My husband KS Venkatraman is a businessman. He is a franchisee of Kotak Securities. 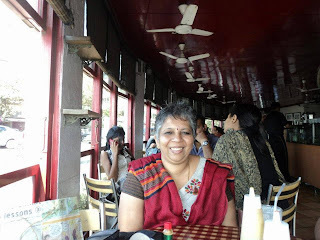 My daughter Vinitha is an MBA who works for Mumbai Smiles, an NGO, as Head of Communications. My son VigneshKumar is a lead guitarist/vocalist for metal bands Orion & Albatross. He is also a Brand Ambassador for ESP Guitars. He works as Assistant Brand Manager for Furtado & Sons. Even as a kid, I absolutely loved the ‘lived happily ever after’ syndrome. I grew up reading all the fairy tales I could lay my hands on, Phantom comics, Mandrake comics and the like. It was always about good triumphing over evil and a happy end. Soon, into my teens, I switched my attention from fairy tales to Mills & Boon. While I loved reading both of these, I always wondered what would have happened if there were similar situations happening in India; to a local hero and heroine. My imagination took flight and I have always lived in a rosy cocoon of romance over the years. Then came the writing – a true bolt out of the blue! I could never string two sentences together. While my spoken English had always been excellent – thanks to my Grandpa – I could not write to save my life. I was bad at writing essays in both school and college. Later, when it was time to teach my kids, I could manage everything from Science to Mathematics and History & Geography. When it came to writing compositions, my kids found me of no help at all. All this changed suddenly one fine day in the year 2000. I had just quit my job at a school’s office and did not know what to do with my life. I was saturated with reading books. That’s when I got home one evening after my walk and took some sheets of paper and began writing. It was like watching a movie that was running in my head – I am sure over the years that I had been imagining local heroes and heroines – and I just had to put it into words. It was as simple as that and my first novel, The Malhotra Bride, took shape. Of course, it has taken me all of 13 years to get published. Being a Commerce graduate with no writing background, I ran from one publisher to another – in India as well as abroad – with no one interested in my novels. Yes, in the plural. I have written a number of full-fledged novels that never got to see the light of day. Finally, it was Rizwan Tufail and Naheed Hassan who were interested in my writing and contacted me about writing a romance novella for Indireads. As they say, the rest is history. And Double Jeopardy was born! I am a diehard romantic at heart. I used to love reading fairytales as a kid and thoroughly enjoyed the ‘lived happily ever after’ endings. Later on, as a teen, I turned my attention to Mills & Boon romances. I am not quite sure when the interest turned and I began to imagine Indian heroes and heroines. While I have a fertile imagination, I never could string two sentences together. I was almost 40 when I penned my first novel – The Malhotra Bride. I had quit my job and was at home, playing housewife. I felt quite useless. Suddenly, one evening, inspiration struck. I returned from my walk and sat down to write. By night, I had completed 14 pages of ruled foolscap paper. Thoroughly excited, I finished the first script of the novel (35,000 + words) in 20 days. I simply loved Amish Tripathi’s The Shiva Trilogy, especially the first two books. Ashwin Sanghi is another favourite. His novel, The Rozabal Line, is simply amazing. I am reading The Krishna Key by the same author, while I have also read Chanakya Chants. 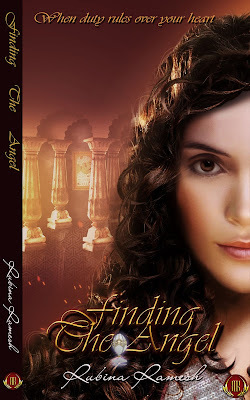 I enjoyed reading some of the books on Indireads. Parul Tyagi, MM George, Jazz Singh, Yamini Vijendran, Roopa Menon, Zeenat Mahal, Neelima Vinod, Sumeetha Manikandan and Sarita Varma are excellent writers. I am working on Simha International, a romance, of course. 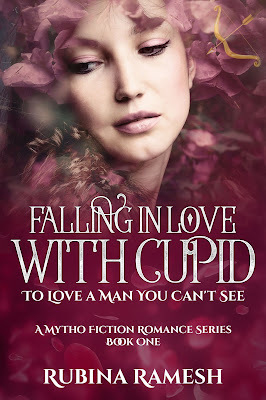 This is appearing as a series on my blog Cupid Strike Series. I have also created a story idea that I have submitted to Indireads. I will let you know after it has been approved. I can’t say the exact time. I am a voracious reader since I was about three years old. I have always been fascinated with words. I used to feel envious of authors who can write so beautifully. I think this fascination drove me to writing. I am not at all disciplined. While my mind roves over the scenes and sequences of the novels, I keep postponing putting it down in writing – rather typing it out on my PC. This is a major hurdle. This is also the reason why I started blogging my novels as a series. This way, I have to deliver a fresh chapter each week and I have to stick to a schedule. I do experience it, although I would term it laziness, rather than writer’s block. Jeffrey Archer is my favorite author. Then there is JK Rowling with her Harry Potter series. I used to like Ayn Rand and Sidney Sheldon. I have a number of favorites among romance authors such as Nora Roberts, Janet Dailey, Penny Jordan and Carole Mortimer. Georgette Heyer, Julie Garwood and Judith McNaught are historical romance authors that I adore. I hope to write a historical romance soon. I feel all these authors have an influence on my writing. I would not know that much about writing to give advice to other writers. Yes, to new writers I can say this: if you want to write, just keep writing, unfazed about being published or not. Blogging is a fantastic platform to practise on. As a writer when you blog your stories, don't you feel that you are losing out on publishing your stories. That you would do more justice if you publish them, even as a self published ebook? I am 'publishing' my books on my blog. Yes, I lose out on the royalty. There are two angles to publishing. One is being read by people across the globe and the other is money. For 13 years, I had neither. Atleast over the past 3-4 years, my work is read by a number of people. Even if I am published by the best brand, what is the guarantee that my books will be sold? Yes, it would be fantastic if I turned out to be a JK Rowling or an Amish Tripathi. So far there is no indication of that. I just got fed up with waiting and 'published' my own work for free. I have no regrets. This way at least I write regularly and do get feedback occasionally. Then there are those page hits. Total nasha! 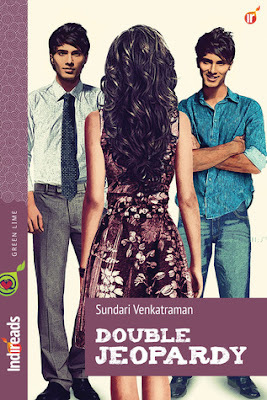 Congratulation Sundari:) It is indeed a bold concept and you've penned it beautifully. The novella is both youthful and thoughtful. Loved reading it. 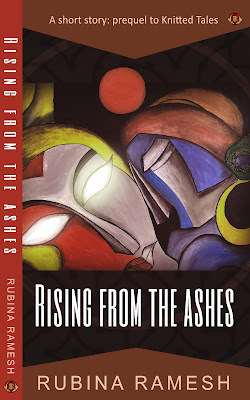 Hi Rubina, I never thanked you for this awesome review and interview on my blog. Thank you so much!